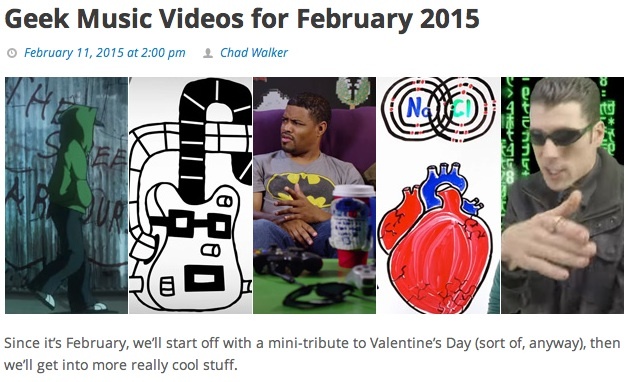 For his February list of recommended videos, Chad Walker opens with a batch of Valentine treats followed by a few that are just recent and cool, including the newest from Primordial Emcee, his Matrix-inspired “The Path of Prime”. The list includes a bunch of cool videos with brief descriptions for each. Stop by and check a few out.